China's Ministry of Finance and the State Oceanic Administration (SOA) declared Zhanjiang a pilot city for the national innovative development of the marine economy on Oct 30. Seven other coastal cities in the country were also designated as pilot cities out of 20 candidates. Other pilot cities include Tianjin, Nantong, Zhoushan, Fuzhou, Xiamen, Qingdao and Yantai. The eight cities selected will obtain a special grant from the central government to develop its local marine economy. The cities will be encouraged to make full use of their local marine resources, upgrade their marine industries, develop marine science and improve the capability of independent innovation in marine industries. Zhanjiang will host the 2016 China Marine Economy Expo (CMEE) from Nov 24 to 27, the only national level marine economic and trade exhibition activity. 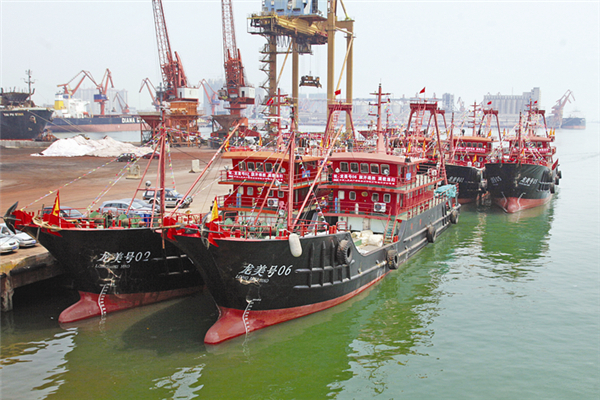 In recent years, China's marine economy has grown to become a new driving force of the country's economic growth. Authorities in Zhanjiang will take the opportunity to develop its marine-related industries with the aim of building the city into a strategic city on the 21st Century Maritime Silk Road.